You know that stress dream that everyone has at one time or another? The one where you’re standing up in front of a giant group of people and something goes horribly wrong? You forget your speech, your voice cracks, you’re not wearing pants. Well that dream became a recurring reality for me my senior year of college (not the pants part thankfully). Mine was the singer’s nightmare. The one where you open your mouth to sing and the voice that comes out is not your own. As a child and an adolescent I loved to perform. Singing wasn’t something I thought about; it was something I just did and as a result I was totally fearless. When I got to college the concept of thinking about singing as a science was entirely new to me. My teachers taught me to release my jaw and tongue, to inhale into my back and belly, to use muscular antagonism of the inspiratory and expiratory muscles, to keep my larynx low and stable, to lift my palate, and many other mechanics of singing. At first this new focus on technique was interesting, but eventually all of the technical language resulted in confusion. Every time I opened my mouth to sing I was afraid I would do something wrong. The result was a voice that was only a shadow of the one I used to call my own. What happens when we’re afraid? In his article “The Anatomy of Fear,” John A. Call discusses the body’s reaction to fear: the heart-rate speeds up, our muscles tense, and the breath becomes fast and shallow. The implications of this for a singer are huge. In singing the first rule of the inhale is release low. When a singer releases and expands through the lower body (belly, low back, and intercostals), it allows these muscles to work in tandem on the exhale. This gives the singer the ability to manage the air much more efficiently than if he/she had begun by expanding through the chest and clavicles. If a person is experiencing fear, the ability to take a low and relaxed or released breath becomes quite difficult. Certainly singers need to learn proper singing technique, but sometimes I wonder, what is all of this focus on the physical costing us as artists? There was a time in my life when I operated solely on musical intuition. But as I learned more and more about the mechanics of singing I began attempting to operate on facts and science instead of artistic impulse. I don’t mean to suggest that I didn’t need to learn the mechanics—I had plenty of technical issues. But perhaps there is a more holistic approach to teaching singing that could facilitate proper technique without the loss of instinct. After I graduated from college I took some time off from singing. When I decided to return to it I knew I needed a different approach. I had been practicing yoga as a form of exercise for a few years, but I felt confident that with the right guidance it could really help me as a singer. So I sought out a voice/yoga teacher. My new teacher, Mark Moliterno, taught me that yoga recognizes that tension in the body is often a result of physical or psychological blockages to the breath. The practice of yoga seeks to release tension and free the breath. 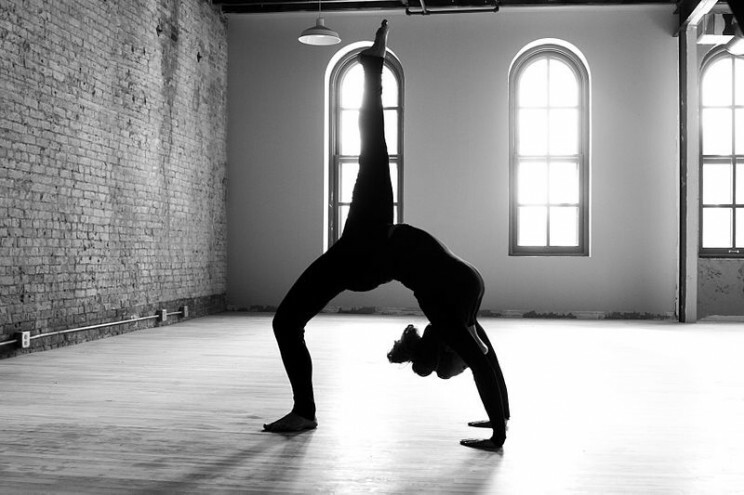 When properly implemented in the voice studio, yoga can be a pathway to efficient vocal technique and artistic freedom. Mark pointed out that all of the confusion and fear that had built up during my college studies had caused me to physically disengage from the lower half of my body. So we set to work using yoga to reconnect me with my lower body and help me feel more secure in my singing. 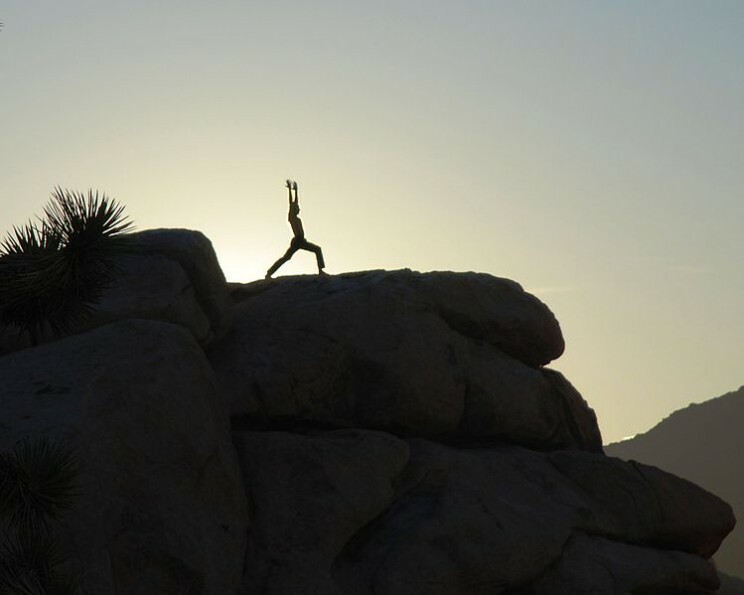 We used postures like Tādāsana or Mountain Pose and Vìrabhadrāsana One or Warrior One to release tension in the body and connect me with the ground. Feeling my leg muscles engaged and my feet planted firmly on the floor helped me to feel more secure. We used pranayama or breath exercises to release tension within the muscles of the respiratory system. We used hip openers to release the tension in my jaw, and shoulder openers to release the tension in my tongue. We did yoga and made music. Not once in this entire process did I think about any of the mechanics of singing. My technique improved because my body was open and the breath could function naturally and efficiently. Yoga was like this miracle that freed my voice and allowed me to trust myself again. But it isn’t a miracle, it’s a science that takes into account all parts of the person, and not just the anatomical. When singers start trying to function as anatomical machines, seeking after flawless technique, we can lose the ability to sing authentically. Yoga helped me to learn to sing with good technique without focusing on it, and dissolved the fear that kept me from trusting my musical instincts. It released the tension in my body and mind, unleashing the breath, and offering me a pathway to artistic freedom. Mezzo-soprano, Laura Davis, is a singer, conductor, and voice teacher. She holds a Master of Music degree in Voice Pedagogy and Performance from the Catholic University of America and a Bachelor of Music degree in Sacred Music from Westminster Choir College. Recent performances include Suzuki in Puccini’s Madama Butterfly, Dina in Bernstein’s Trouble in Tahiti, and Third Lady in Mozart’s The Magic Flute. After spending 10 years on the east coast conducting, performing, and teaching, Ms. Davis has returned to her home state of Colorado where she is in the process of opening a voice studio based on a holistic approach to singing. Awesome and very healthy idea for how to better & improve voice and singing through Yoga. In India people pay close attention on it. THANKS.